Blake Wheeler Winnipeg Jets Autographed Reebok Premier Hockey Jersey. 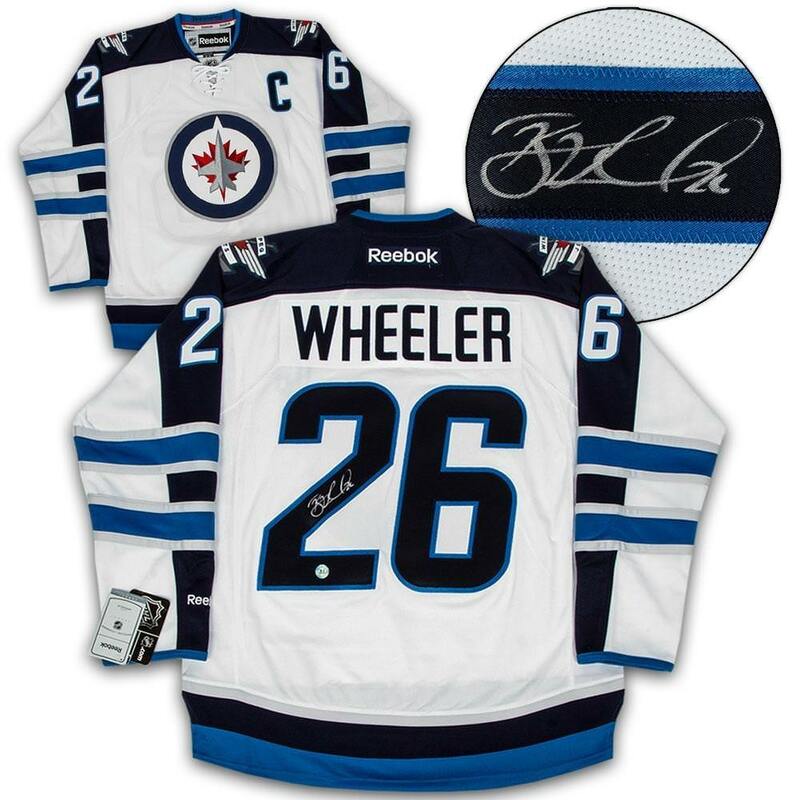 This Winnipeg Jets Hockey Jersey has been hand signed by Blake Wheeler and comes only in size Medium. Mint condition with original factory tags, all numbers and letters are professionally hand-sewn on the jersey which is beautifully signed on the back. To protect your purchase, this item includes a Certificate of Authenticity from A.J. Sports World with authentication hologram.